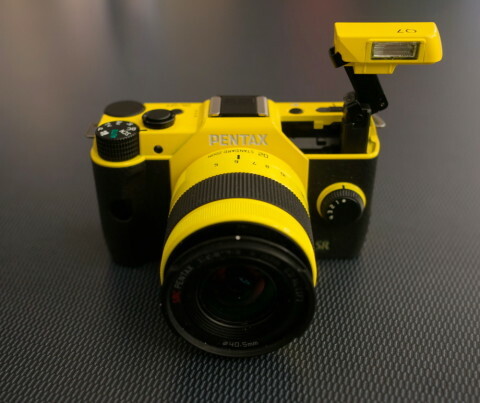 The Pentax Q7 is one of the lightest and smallest mirrorless interchangeable lens camera and it has the largest sensor of any the cameras in the Q range, a 12.4 MP 1/1.7″ Backlit CMOS sensor. This sensor produces high resolution low-noise images in both JPEG and 12-bit RAW formats. The Pentax Q7 has a small rubberized body (the same body design as its predecessor) and delivers SLR-like performance and image quality. The Q7 can easily capture quick action with Fast Autofocus (with the shooter speeds of up to 1/8000 seconds) and with continuous shooting of 5 fps in full resolution. The Q7 can also record videos in 1080p Full HD resolution in the MPEG-4 AVC/H.264 format. A built-in microphone is present to record sound for videos. 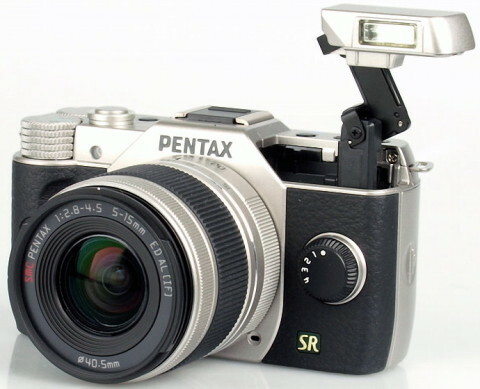 Also present on the Pentax Q7 is a 3.0″ TFT LCD monitor with a 100% field of view and 460k-dot resolution. 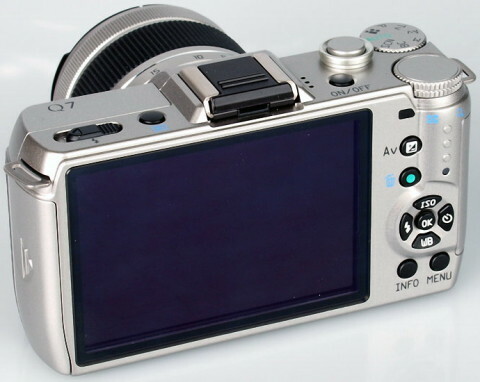 The autofocus and the manual focus are available. Also, the Q7 has the Auto and the Manual Exposure mode which allows the user to use traditional DSLR exposure modes, such as Av (Aperture priority), P (Program), Tv (Shutter priority) and M (manual). The in-camera Sensor-shift Shake Reduction operates independently of the camera’s lenses and stabilizes images for clear, blur-free quality even in low-light conditions. 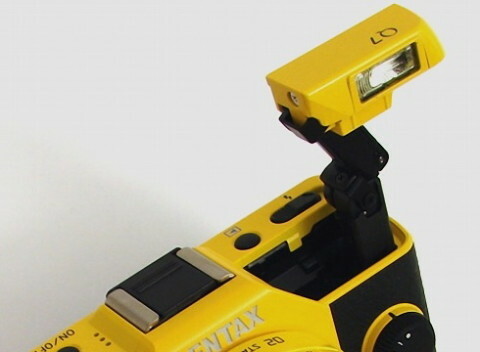 A built-in retractable P-TTL flash unit completes the features list of the Pentax Q7. 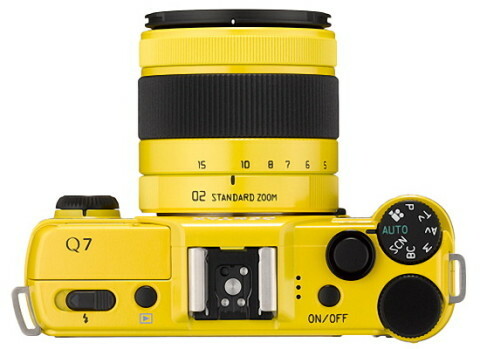 The Pentax Q7 is available in the three standard colors (silver, yellow and black) but, in addition, consumers can make no less than 120 color combinations. The new 1/1.7″ sensor has definitely served the camera well, loads of advanced features and customization options give it a little more enthusiast appeal, and it’s just so darn small. JPEG images from the camera display very good color rendition and exposure, all things considered, and there are great gains to be made in image quality by taking advantage of the Q7’s Raw shooting capabilities. In terms of picture quality this is where the Q7, whilst by no means terrible, nevertheless falls down, being neither a match for fellow CSC’s in this price bracket nor entry level digital SLRs it might offer an alternative to, As it is, we would neither suggest it as a replacement for or alternative to a DSLR. 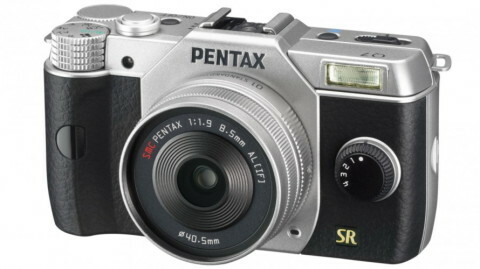 The Pentax Q7 has a basic body style that can easily be compared to a plethora of point and shoot cameras. Its box-like structure has a small but useful hand grip. More details about built, design and controls of the Pentax Q7 you can read on Digitalcamerareview.com website. 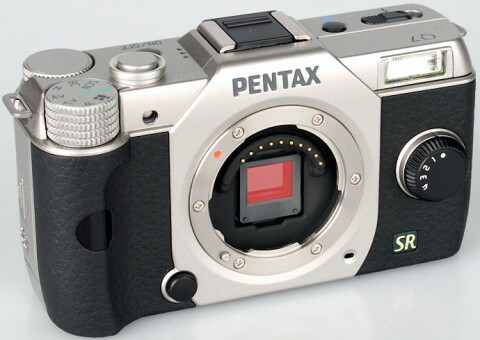 The Pentax Q7, and by extension the whole of the Q system, is a difficult thing to summarise. On the one hand you have a surprisingly capable little camera with a good range of features, excellent build quality, performance and handling, and image quality that compares well to most high-end compacts. It’s a genuinely nice camera to use, and its compact size means you can take it anywhere, and the best camera in the world is the camera you have with you when you need to take a picture.